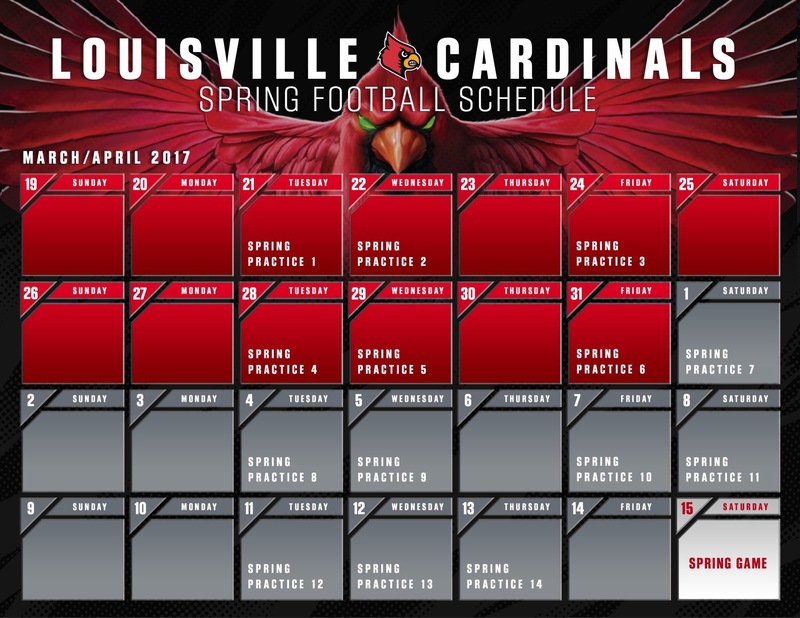 Louisville Football Spring Schedule Released. Oh Snap! Louisville released their spring practice schedule this morning so adjust your schedule accordingly. FYI The Red Rage Tailgate and The Crunch Zone have big Spring Game plans so stay tuned.